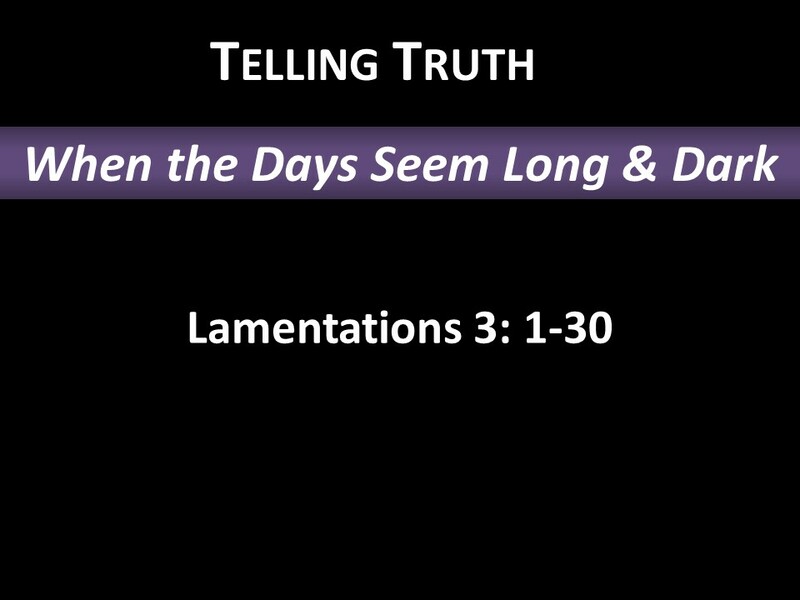 The sermon title is “When the Days Seem Long and Dark”. 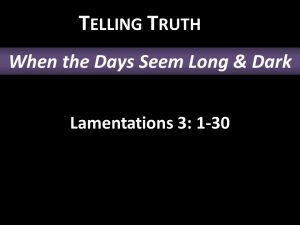 In Jeremiah’s darkest moment, his hope was strengthened with two assurances: God has been faithful and would continue to be faithful, and the captives were alive. Jeremiah saw both God’s judgment and God’s mercy. In the time of judgment, Jeremiah could still cling to God’s mercy just as, in times of prosperity, he had warned of his judgment. Jeremiah saw one ray of hope in all the sin and sorrow surrounding him; God’s compassion never ends. Compassion is love in action. God willingly responds with help when we ask. Perhaps there is some sin in your life that you thought God would not forgive. God’s compassion is greater than any sin, and he promises forgiveness.